Gary Gilligan confronts facts the mainstream prefers to ignore and asks questions the mainstream really don’t want to answer. In 2007 he asked: Why did the Egyptians depict the Sun as a red disk? It matters little where Re’s symbol is found. Whether used as part of the ‘sacred’ hieroglyphs or as a pictorial image, Re’s most basic form consisted of a simple red disk which was sometimes dressed with wings, cow’s horns, plumes or cobras. Yet the Sun is a blinding, golden light. As Egypt has one of the sunniest climates in the world, the Sun would have shone on ancient Egyptians with monotonous regularity. Why did the Egyptians depict the blinding yellow Sun as a red disk which is a lifeless image by comparison? Ask a child to paint the Sun and they will paint a yellow circle with yellow rays. Why didn’t the Egyptians portray the Sun as it appeared – a bright yellow disk with rays? 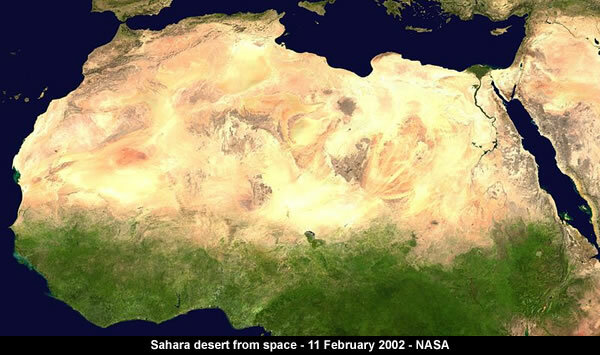 In 2009 he asked: Where did the Sahara sand come from? Sand is the result of finely weathered and eroded rock. It takes tens of thousands, if not millions, of years for exposed rock to weather into sand. The longer this erosion takes place, the finer the grains. The sand in the Sahara is some of the oldest on the planet; it is believed to have existed for seven million years (Source; Fearless Planet, Discovery Science). Some of the sand dunes are rich in iron ore. The impurities stain quartz particles, which accounts for their yellow colour. Where did the Sahara sand come from? It did not exist 6,000 years ago. Experts are proposing that the vast oceans of sand formed in less than 3,000 years. This is impossible because Saharan sand is some of the oldest on the planet and took millions of years to form. Two days ago Gary Gilligan asked: How does sand get its colour? We ask the same basic question posed above; how does seeping groundwater (no matter what it consists of) manage to create such defined layers of bleached white sand the same time as creating interceding layers of red/brown/tan? Considering how some of the laminae are only a few inches thick, again this has to be impossible – seeping fluids cannot be so discriminate. Could there be an alternative explanation for the origin of sand and how it got its colour? 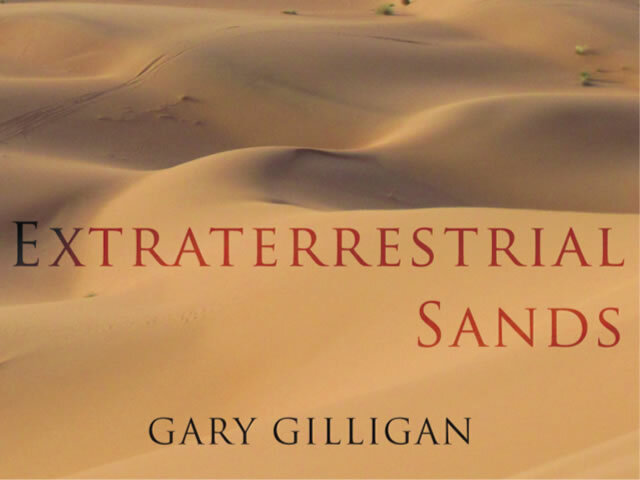 Today, Gary Gilligan provides answers in his brand new book Extraterrestrial Sands and in the following exclusive introduction written especially for Malagabay. The theory states that the once earth-like planet Mars (God of War) entered into hundreds of catastrophic close encounters with earth during historical times. During these encounters an incandescent molten Mars internally convulsed and ejected immeasurable quantities of vaporised rock, volatiles, dust and debris out into space – a natural consequence of planetary upheaval. Vast swaths of rock vapour fell to earth (along with tons of other rock forming sedimentary material) where it condensed out of the atmosphere as tiny quartz and feldspar grains. In other words, it rained sand! Earth has been subjected to a number of catastrophic sand (and debris) ‘accretion events’ in the past few thousand years and the evidence is obvious for all to see. It reaches us in the form of Earth’s sandy deserts, beaches, dune fields and sandstone deposits. The size and composition of the sand was dictated by the composition and density of ablated material falling to earth. The colour derived from the precipitation out of an atmosphere heavily laden with moisture and oxide dust (still falling to earth, origin Mars) which contributed to hazing the Sun red as recorded by the ancient Egyptians. As the grains crystallised they acted as a nucleus for water droplets (raindrops) – analogous to meteor dust providing nuclei for Noctilucent Clouds formation or dust in air acting as condensation nuclei for raindrops. By way of an ‘electroplating’ process, clay and oxide nanoparticles comprising the water vapour adhered (were electrically attracted to) to the recently formed sand grains. This fundamental process lies at the heart of how sand grains gained their coatings and by extension their colour. As with grain formation, there are many variables to consider here: atmospheric moisture content, fluctuating levels of oxides and clays, adhesion rates, temperature, wind, etc. All this, and more, played a part in determining the variety of colours seen throughout our sandy deserts and sandstone deposits. Post-depositional processes have of course played, and continue to play a part here. The most obvious example would be the fluctuating moisture content in the atmosphere further reddening already oxidised sands – as seen in some of the deep red dunes of the Namib. And of course the wind, which has shaped dunes into enormous piles of sand, abrading the grains in the process to produce an iron-rich mineral dust. In short, the Namib Desert, like so many others sandy deserts (Sahara, Arabian), are ‘recent’ extraterrestrial deposits – they lie roughly where they fell (the Namib probably fell on both land and sea, only to be washed ashore). There is no need to invoke impossible geological processes to explain the colour – dune sand appears pristine and relatively uniform in size and colour as a result of recently falling from the sky like rain. This graphic shows results of the first analysis of Martian soil by the Chemistry and Mineralogy (CheMin) experiment on NASA’s Curiosity rover. The image reveals the presence of crystalline feldspar, pyroxenes and olivine mixed with some amorphous (non-crystalline) material. By directing an X-ray beam at a sample and recording how X-rays are scattered by the sample at an atomic level, the instrument can definitively identify and quantify minerals on Mars for the first time. Each mineral has a unique pattern of rings, or “fingerprint,” revealing its presence. The colors in the graphic represent the intensity of the X-rays, with red being the most intense. A team of researchers at Britain’s Institute for Climate and Atmospheric Science, University of Leeds, with assistance from Australian Matthew Woodhouse of Commonwealth Scientific and Industrial Research Organization has found that feldspar minerals play a far larger role in ice formation in clouds than has been realized. Prior research has shown that they make up on average just 3 percent of the dust found in clouds, which has led scientists to conclude that they play a minor role in ice formation. In this new effort, the researchers found just the opposite to be true. Feldspars crystallize from magma as veins in both intrusive and extrusive igneous rocks and are also present in many types of metamorphic rock. Rock formed almost entirely of calcic plagioclase feldspar is known as anorthosite. Feldspars are also found in many types of sedimentary rocks. Quartz is the most important sand-forming mineral and occurs in very many sand types but usually not exclusively. Quartz is the second-most-abundant mineral in Earth’s continental crust, after feldspar. Its crystal structure is a continuous framework of SiO4 silicon–oxygen tetrahedra, with each oxygen being shared between two tetrahedra, giving an overall chemical formula of SiO2. Quartz is a defining constituent of granite and other felsic igneous rocks. It is very common in sedimentary rocks such as sandstone and shale and is also present in variable amounts as an accessory mineral in most carbonate rocks. It is a common constituent of schist, gneiss, quartzite and other metamorphic rocks. Quartz has the lowest potential for weathering in the Goldich dissolution series and consequently it is very common as a residual mineral in stream sediments and residual soils. While the majority of quartz crystallizes from molten magma, much quartz also chemically precipitates from hot hydrothermal veins as gangue, sometimes with ore minerals like gold, silver and copper. 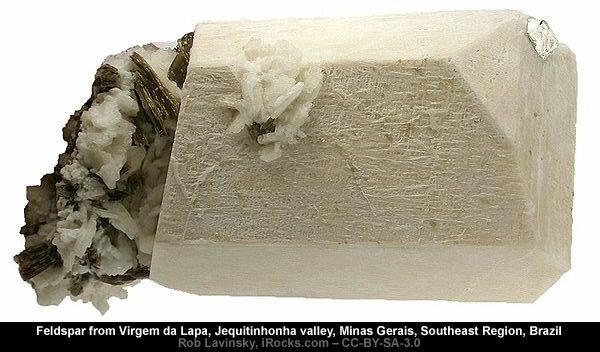 Large crystals of quartz are found in magmatic pegmatites. Well-formed crystals may reach several meters in length and weigh hundreds of kilograms. Gallery | This entry was posted in Astrophysics, Atmospheric Science, Books, Catastrophism, Earth, Geology, Guest Authors, History, Solar System. Bookmark the permalink. Australian Aboriginals have a story/dreamtime that relates ‘red rain’ etc. So the redness is essentially Martian in origin. However the usage of the term ‘felspar’ is very problematical. Quartz is specific – SiO2, but felspar? It has a range of compostions related to the chemisttry of the rocks its found in. You get white felspar, anortholase with gradations to orthoclase felspar which is reddish in colour, and in between. So when someone says Loess is made of quartz and felspar, they haven’t said much apart from being specific about quartz. But which felspar in the loess? Calcic or sodic etc. This problem is widespread. In a new study, published in the Monthly Notices of the Royal Astronomical Society, an international team of scientists has detected silica in the remnants of two distant supernova billions of light years away from Earth. 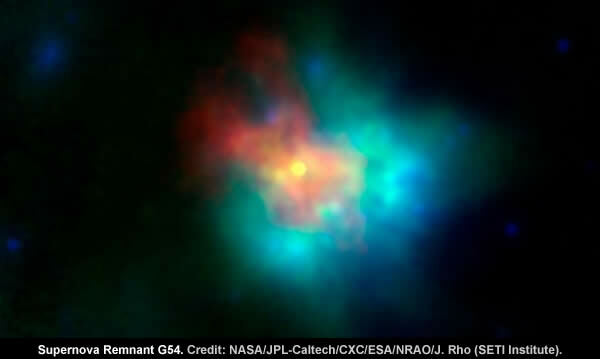 Using NASA’s Spitzer Space Telescope the team was able to detect the unique ‘fingerprint’ of silica in two supernovae, Cassiopeia A and G54.1+0.3, based on the specific wavelength of light that it emitted. Co-author of the study Professor Haley Gomez, from Cardiff University’s School of Physics and Astronomy, said: “We’ve shown for the first time that the silica produced by the supernovae was significant enough to contribute to the dust throughout the Universe, including the dust that ultimately came together to form our home planet. Fusion occurs in the same way as on Earth/Adam. Discharges of EMF. Charge. We see the tiny tendrils of the star’s discharges when there is a large sunspot. They are as big as Texas in diameter and much longer than Earth in length. Protons are propelled outwards but also inwards and elements are also sent downwards, readily combining into every Earth possible and impossible compound. It should be possible for a computation of the charge displayed and to assess what amount of energy is missing and deduce what amount of matter falls into the star every year. Planets are formed in the star. When they leave, chaos erupts. Some of the matter will attach to the leaving planet. Planets do not career around. They leave the star, but not the filament that powers the star. The planet is moved by that filament according to known and poorly descrfibed principles. Discharges do occur betweeen planets until the discharge has equalized charges or until it has been made impossible by isolation by Birkelnad sheaths. Venus passed charge onto Adam. This would also explain why expansion occurred. Mountain ranges may also have been drawn out in one day. Another mystery – it’s never ending. Where is all this sand coming from? If it’s being ejected out from the Earth’s crust during sandstorms, then no one would be looking for it and it might be coming out of those sink holes or whatever. That’s the problem with dynamic EM phenomena – when its happening who the heck cares about observing? It’s life threatening phenomena and one’s attention is directed to more urgent matters. Mineralogical composition of these sands needs to be determined first. Mea Culpa. I have to study Gilligan’s ideas. The only planet that shows physical evidence of a near incandescent state is Venus. And it would also have the appropriate surface mineralogy to produce siliceous and feldspathic sands since it seems Venus has a SIALIC surface. Mars, by comparison, is sold and relatively inert.